The most controversial type of home air purifier uses ozone oxidation. It is potentially dangerous to the health of naive users. In the hands of educated users and professional remediators, ozonation is a useful and practical tool. The problem is marketers who fool millions into believing ozone is safe for routine daily household use as an air purifier. This air purifying technology is also called "ozone machine" and "ozone generator." The ozone-emitting air purifier is frequently marketed, to naive consumers, with misleading terminology and nature imagery. Yeah, Somewhere, over the rainbow, blue birds fly - there is absolutely nothing natural about accumulated indoor ozone. This page discusses the health risks of ozone emitting air purifiers for routine long term household use. A distinction is drawn between ozone for air purification and oxygenation as a medical therapy. The two are completely separate subjects, often confused. While some ionic and all electrostatic air cleaners emit ozone as a byproduct, ozonator purifiers create it by design. We have all heard of the protective layer of the earth’s atmosphere and how it shields us from harmful ultraviolet radiation. We can easily follow the suggestion that air purifiers using this "natural" molecule might work safely in our home environment as well. Ozone is a toxic air pollutant, a strong oxidant, and the main ingredient of ground-level smog. The oxygen that we need in the air we breathe has molecules of two oxygen atoms (O2). Ozone is a colorless gas composed of three oxygen atoms (O3). Though clear, it is responsible for the faint blue afterglow of electric arc discharge. Airborne O3, created by ultraviolet radiation in the upper atmosphere and by lightning, is almost always present. It is also created by electric arcs, automobile exhaust, and some industrial processes. 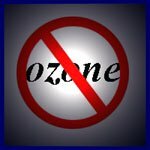 Ozone is a toxic gas with vastly different chemical and biological properties from O2. It is chemically reactive, and destroys itself by attacking other chemicals. The problem is it's relatively long survival time (half-life) in air: up to three days! Ozone accumulates in home air. Many who sell ozone emitters falsely quote the half life in water as evidence of ozones safety in air. Water purification by ozonation is safe, because O3 decays as quickly as 30 minutes there. The word "ozone" is derived from the Greek word for "smell" because its odor can be detected at concentrations as low as .0076 parts-per-million (ppm). Underwriters Laboratory's UL Standard 867 requires household electrostatic air purifier ozone to be no more than .050 ppm. Governments have jumped on the .050 ppm standard bandwagon. But when Consumer Reports criticized ozone-emissions from popular air cleaners, many of the worst offenders came in at the .030 to 048 ppm level. Ironically, these same air cleaners are now "government approved." There is a consensus among environmental, health and safety agencies that workplace exposure of up to 0.10 ppm is acceptable for an eight-hour period. The United Kingdom Health & Safety Executive has established an occupational O3 exposure limit of 0.20 ppm for 15 minute periods. These are industrial exposure standards: want a job as a coal miner, Alaska crab boat crew, or offshore oil-rig diver? Well, there are frequent openings. In the absence of O3 generators, indoor levels are much lower than found outdoors. Indoor devices, other than air purifiers, that produce ozone include hair dryers, TVs, laser printers, copy machines, computers, and fax machines. Substantial amounts come indoors from outdoors. Many people believe the ozone air purifier ads and like to bask in the “improved” odor. Visitors complement the home owner on the fresh smell. A technicolor world of illusion is created as senses are dulled and possibly dangerous odors masked. The health effects of O3 have been studied extensively. The bleach hydrogen peroxide is formed when ozone dissolves in water, like when it comes into contact with moisture in your eyes, nose and lungs. Those who understand the danger of the “fresh” bleach-like smell of O3 can use it properly, for shock treatments in empty rooms. Short term spikes in outdoor ozone levels during periods of heavy pollution have long been associated with short-term health effects, such as asthma attacks, increased hospitalizations, and cardiovascular deaths. Concentrations above .080 ppm for eight hours or longer cause coughing, wheezing, and chest pain. At this level asthma symptoms worsen, the sense of smell decreases, and permanent lung damage is possible. High concentrations increase sensitivity to pollen, mold, and other allergy triggers. Recent studies of cumulative effects of more modest ozone exposures have begun to document health concerns. Now a new study finds chronic low-level ozone exposure to be dangerous to health. An 18-year study of 448,850 individuals, reported March 12, 2009 in the New England Journal of Medicine, shows that increased risk of death from respiratory illness varies with long term ozone levels. Researchers studied people over the age of 18 in 96 metropolitan regions beginning in 1982. The study reported that an increase of .010 parts per million in long term ozone concentrations correlated with a 4% increase in deaths from respiratory illness. Ozone's best application is in deodorizing hotel rooms. The O-generator is turned on full power, windows and doors are closed and the room is left empty. When the room is odor free, staff returns, turning off the machine. Maybe they ventilate all the air. Do they wait until the room is completely aired out before you check in? Manufacturers of ozone machines claim the air is cleaned and the gases, chemicals, and microorganisms are destroyed in the air. This air purification is by oxidation, reactions with pollutants which break them down, sometimes into additional pollutants. Partially oxidized byproducts are created when oxidant air purifiers are used improperly. Tri-atomic oxygen reacts with lemon and pine-scented cleaning products and air fresheners, creating toxic formaldehyde. If you still have scents and “air fresheners” anywhere in your home, I urge a hasty visit to the nearest dumpster! My readers already know that these products are symptom maskers which only make long term solutions harder. This is a powerful purifying technology, but ozone in air must reach toxic levels 50 times the outdoor air purity standards to be effective against microorganisms. Ironically, it is NOT the high-quality, high powered ozone generator that poses the greatest danger to consumers. High power ozone “Shock Treatments” are toxic to people, pets, and even houseplants. Very high levels will drive everyone from the home. But chronic lower levels, as created by many popular home air purifiers, can be tolerated indefinitely. Honest vendors will properly advise customers on how to use this powerful air purification tool safely. But many do not, luring consumers into buying a purifier which is dangerous when used continuously on high settings. Some very popular "air purifiers" are mid powered ozonators and little else. The Ecoquest product line falls in this category. Ozone covers indoor odors by numbing the sense of smell, as much as by purifying the air. Particulates are not removed from the air, since there are no filters. The purifier is sometimes sold with an add-on ionizer, further obscuring its true character. There are many cases where ozone and other oxidants are appropriate remedies - mold and fire damage remediation stand out. Ozone air purification is very useful for whole-house high-dose mold remediation by professionals or well-informed consumers. In the case of mold, source removal may be impossible, and less powerful methods may fail. But please do not use an air purifier with ozone emissions indoors when people or pets are at home. O3 is useful in unoccupied homes and industrial applications only. Air purifier emissions should not be added to the long list of routine dangerous household exposures. Again for emphasis: an ozonator air purifier is a powerful tool, but not for routine everyday use. The Canadian government, and California, have banned the sale of ozone generators. Many people report improved allergy/asthma symptoms when using ozone air purifiers. Yes, ozone may be useful as an alternative medical therapy. Ozone defenders may be correct in believing that the government is protecting the pharmaceutical monopoly in persecuting ozone. But we are talking air purifiers here, not medical uses. I will not use, or recommend for normal daily use, an air purifier that produces ozone other than trace amounts below .01 parts per million. Ozone air purifiers, electrostatic air cleaners, and some ionizers may also emit oxides of nitrogen and other impurities which render them unsuited as therapeutic tools. Air purifiers making more than trace amounts of ozone, above .02 parts per million, are not safe for routine, daily household use. Former market leaders Ionic Breeze and Oreck, and popular Ecoquest have fallen in popularity as the ozone issue surfaced. But Ozone is safe, and very valuable, when used as prescribed for high-dose shock therapy with people and pets absent. So before considering ozone producers, let's look at a few safer oxidation technologies for daily residential use. California has banned the sale of ozone generators, so shoppers residing in the Golden State may want join those considering alternatives. There are multiple newer oxidation technologies which offer most of ozone's benefits with much lower risks. Most important is a short half-life, allowing sensitive users to shut down the oxidizer and use the space immediately. Photocatalytic oxidation (PCO) breaks down the smallest particles and molecular pollutants (chemicals and odors) into safer compounds. PCO air purifiers usually employ broad spectrum ultraviolet light, and a thin-film titanium dioxide-based catalyst, to create hydroxyl radicals and super-oxide ions which oxidize chemicals and destroy microorganisms. Although it is the TiO2 catalyst that is new, the core of a PCO air purifier is the high-intensity ultraviolet source, with wavelengths below 385nm, including the germicidal frequency (254 nm). Hydroxyl radicals are powerful oxidizers, good substitutes for ozone, and do not persist. 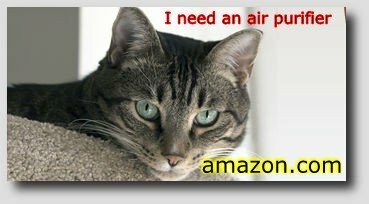 Photocats without filters are NOT for particles, which many vendors will include on their lists of claimed pollutants removed. Effective particle removal requires a HEPA filter, but of course that applies to ozone as well. 1.) Substrate Engineering - the catalyst base. It is pretty easy to take a low wattage mercury vapor fluorescent-tube UV, maybe ten bucks, hang it behind the filters, and add a FLAT sheet of aluminum grid sprayed with plain TiO2. Numerous inexpensive air cleaners have done just that. But everyone will notice that less than half the bulb's energy strikes the grid, the rest illuminates filter backs and chamber walls. And just a fraction of the UV radiation strikes the flat substrate plate at a direct angle, rays at an angle have reduced intensity. So one criterion for judgment of a PCO setup is how well designers have wrapped the catalyst around the UV source and made it three-dimensional for max exposure to irradiation and pollutants. Plain Titanium Dioxide (TiO2) is dirt cheap, but sophisticated developers will dope the catalyst with certain metal ions to improve excitability. Typical UV fluorescent bulbs may have a useful life of 9,000 hours, about a year's continuous use. Often the bulbs employed in UV air purifiers are of very weak wattage, 6 to 12 Watts. 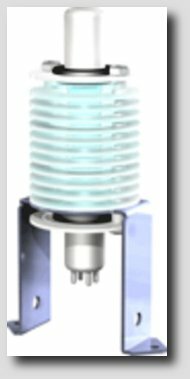 Quality UV emitters can last up to three times as long and will be more powerful. NO UV (blue) light should shine directly in human eyes. The best PCO set-ups are filterless and do NOT have strong fans. Both germicidal UV and photocatalysis take time to work, air must not rush through, but "dwell" in the oxidation chamber. When power and or dwell time is inadequate to chemical pollutant loads, partially decomposed byproducts can be produced. So coupling PCO with a strong blower and filter train is counter productive. Air Oasis AO3000 is a premium priced no-filters PCO air cleaner made in Amarillo, TX, USA. True American made products are rare in the air purifier space. Air Oasis is a company home-grown from scratch, they recently added to the production facility. They have begun exporting internationally to China, Europe, and other exotic venues. That's my favorite thing about this company - instead of outsourcing production Air Oasis is selling US-made purifiers TO China. Sales are growing, but AO3000, the most popular AO model, still has only modest sales. Fifteen customer reviews at Amazon average 4.5 stars. Air Oasis 3000 has been picked up by big-name online retailers, amazon.com, walmart.com,bestbuy.com, sears.com, lowes.com, and very numerous vendors (real vendors, not mommy-blogs reviewing a free product). 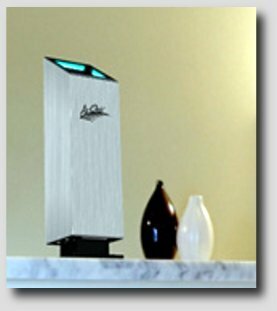 Air Oasis AO3000 is a small brushed-aluminum countertop air cleaner, 3000 measures just 4" by 4" by 15.5" and weighs 5 lbs. AO3000 is smaller than it appears in online photos, it really is a "countertop" device. User reviews say AO3000 is easy to move between rooms but will tip over if bumped. Air Oasis scores well on my three PCO criteria. First, their catalyst is advanced. AO's "nanoNickel HCT" wraps around the lamp and has five types on metal ions added to the TiO2 base. Air Oasis has not named all the metals, but mentions Rhodium and Nickel. AO uses a gel to attract water to the catalyst surface. This water is ionized into hydro peroxides, super oxide ions, hydroxyl ions, ozonide ions, and good ol' negative ions. All these except the negative ions are potent oxidizers, superior to ozone. Air Oasis calls this "redundant" oxidation, since four types of oxidizers are present at the catalyst interface. Second, the UV lamp is modern. AO3000 combines a heavy duty filament with a soft-start ballast to get up to 25,000 hours run time out of a single $80 AHPCO cell. The only maintenance is replacing this cell about every three years (longer if not used 24/7), for an average cost of $27 per year. For households with odor or chem issues, this is much lower than the cost of typical carbon filters. And, where carbon and zeolite used in many air purifier's odor filters cannot go, water-loving PCO shines. Damp moldy basements and baths can ruin carbon and destroy a zeolite-containing filter. AO 3000 has several user reviews relating success in moldy basements. Third, AO3000 has adequate dwell time and power for more complete VOC (volatile organic chemicals) decomposition. AO 3000's airflow has been cited as 30 cfm (Cubic Feet per Minute). In my opinion this is fast enough, more speed would not be an improvement. Because the hydro peroxides (yes, very similar to the brown-bottled liquid) can persist longer than the fraction-of-a-second half lives of hydroxyl radicals, Air Oasis markets AO 3000 for open-plan areas to 3000 square feet. ALL air cleaner vendors over-rate their product's roomsize capability, and here is ozone's one area of advantage. For the same reason that ozone is dangerous - it accumulates and persists - it can reach spaces and places other air purification methods cannot. I can agree that AO3000's PCO can eliminate microorganisms on surfaces near the purifier, but 3,000 square feet is overly ambitious. Air Oasis is careful to warn buyers with strong issues (smokers, pets, sickrooms...) that additional AO3000 units, or smaller spaces per AO 3000, will be needed. But 3,000 square feet is a BIG house, most rooms are much smaller. I recommend the Air Oasis AO 3000 for a maximum of 1500 square feet, less where heavy contamination persists. Unlike some industrial-strength ozone generators, I do NOT RECOMMEND Air Oasis AO-3000 for smoke remediation following a building fire, mold remediation after heavy water damage, or site cleanup for chemical contaminant spills. Air Oasis offers commercial units better suited to these applications, but ozone is still the better choice for heavy contamination. But AO3000 user reviews are supportive of company claims in the areas of mold, moderate pet situations, and cooking odors. AO3000's modest size means it is easily moved to spot treat hot spots and fit in luggage for travel and hotel use. Air Oasis marketing obliquely implies that AO 3000 can effectively handle airborne particles better than a True-HEPA filter. PCO air cleaners can oxidize particles as small as 0.001 microns, but cannot burn up particulate larger than maybe .01. Because HEPA filters are certified for efficiency at .3 microns, vendors can easily confuse shoppers into believing PCO excells at removing particles only filters can deal with. Buyers with seasonal pollen allergies should not believe claims that any oxidizer will remove pollens, most of which are larger than 1.0 micron, too big and numerous to be burned up by AO 3000. AO3000's negative ions can flocculate small particulate into clumps too dense to float, but these fall to the floor or collect on surfaces, not oxidized, they stay in the room and become airborne again. For particles NO photocat is a substitute for a HEPA filter. Notice that AO 3000 can KILL mold spores and bacteria larger than 1.0 micron, but their total mass is very small compared to house dust particulate. AO3000 uses a step-down transformer to produce 12 Volt Direct Current for the fan. This is quieter than typical 120 Volt fans, but user reviews say high speed is noisy enough that TV must be turned up. AO's lamp contains Mercury, toxic to those who break the glass, and legally requiring proper disposal. User reviews mention break in odors of hot plastic, I suggest an outdoor break-in of one week's running. Strong UV radiation creates some ozone, but AO 3000's emissions are very low (.01 - .02 ppm ozone), well below CARB (California Air Resources Board) compliance levels (.05 ppm). While much safer than ozone, Air Oasis 3000 is still an oxidizer, I would avoid sitting near and/or sleeping close to all oxidizing air cleaners. Air Oasis AO3000 is covered by a 3-Year Manufacturer’s Warranty, user pays shipping to Amarillo. Quality is evident in the 1/8 inch thick brushed aluminum shell, ball bearing fans in metal housings, and manufacturer's offer to inspect and clean three-year old AO 3000s sent in for UV bulb replacement (owner pays shipping and cost of bulb). So what's wrong with this product? "Hand made in America" is expensive, MSRP is $499.